Fundraiser by Brian R. Kwong : Help us build our new school! In March of 2017, I started teaching Ving Tsun independently. After a year long search, I finally found a place that was suitable for my goals. I started renting for 3 hours a week on Saturdays, and I watched my class grow. I remember my very first class consisting of just my girlfriend and my first student. In a little over a year, we were reaching 15 people in attendance. It was certainly not easy, starting up a martial arts school at age 22, but I made it work. As with many good things, our stay in our Old Bridge location came to an end. It was wonderful while it lasted, but it was time to move on. With the support of my students, we have decided that we will start our own facility. We are currently in the process of moving in to East Brunswick. 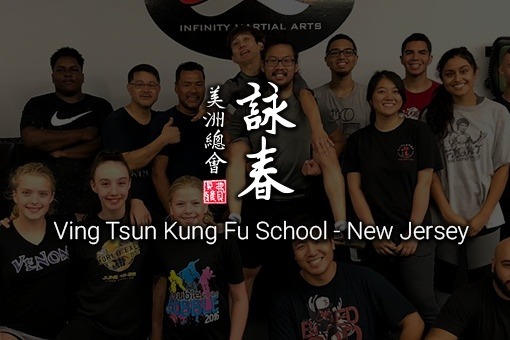 I believe that with a permanent, full-time location, Ving Tsun Kung Fu can thrive in Central Jersey. East Brunswick is close to major public transit, and Route 18 allows for residents of the state to move very easily North and South to our location, whether it be from Route 1, the Parkway, or even the Turnpike. Having a full time location will benefit a wider-array of students who previously couldn't learn this system because of the lack of scheduling flexibility. It will be a great cultural hub for the tens and thousands of Asians living in Central Jersey to explore a part of their culture and heritage, as well as a great place for anyone and everyone to experience a genuinely great martial art that will enrich their lives. It will also be a great anchor for the numerous Rutgers Students attending University to have a place where they can receive extra training. Right now, we are open to any help. While we, as a group, are capable of pooling enough money together to make this work, it isn't enough to thrive on. Our space will need renovation that we will have to carry out ourselves, and equipment that we will have to purchase. While we do not expect many people who are willing to help us, any help contributed towards this would be greatly appreciated. My goal is only to support Ving Tsun Kung Fu, and give it the brightest future that I can provide. Thank you to everyone for your support thus far! As a school, we have managed to secure the money for the security deposit, as well as the first month of rent for the lease signing. I am estimating that the lease will be signed within the next 7 days. All of the money that is being donated here will assist in paying for miscellaneous expenses that are very hard to predict, such as insurance, basic equipment, and renovation costs. We've had donation of equipment very recently as well, which helps a lot. The next big step would be to equip the school so that it will be ready for training by early December.